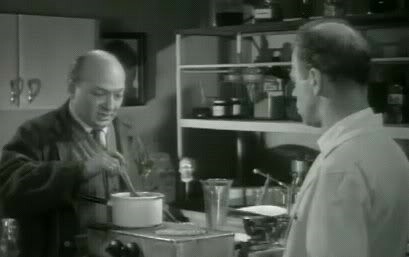 Semi-agreeable piece of trash, with George Coulouris as a scientist who stumbles on a terrible secret (which is, don’t make movies like this). The film opens with Coulouris, machete in hand, hacking his way through what is supposed to be the Amazon. He comes across an unusual sight – dancers and bongo players. Fast forward five years. 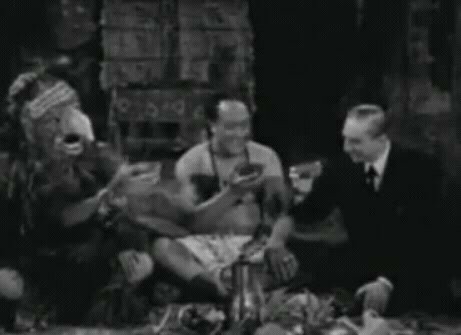 Now Coulouris is back in England, along with a bongo player named Tanga (no relation to the orange drinka), and a killer plant which is the native god “juju” or something like that. I’m not sure how Coulouris got the plant through customs, but that’s a minor point. Apparently if Coulouris feeds great-looking women to the plant, he can produce a serum which will bring people back to life. Hey, I say don’t kill them in the first place, and there is no need for the second place. Switch to a carnival, where the stacked blonde Vera Day is dancing as a hula girl. 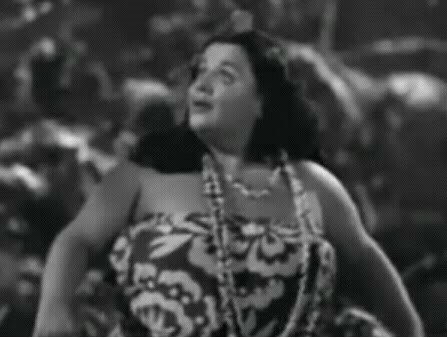 And you thought all Hawaiians were brunettes. She catches the eye of a car mechanic, but this isn’t exactly Looking For Mr. Goodwrench. Anyway, after he slugs her boss and gets her fired, he offers to help get her a job – with Coulouris. Coulouris quickly orders a supply of Viagra. 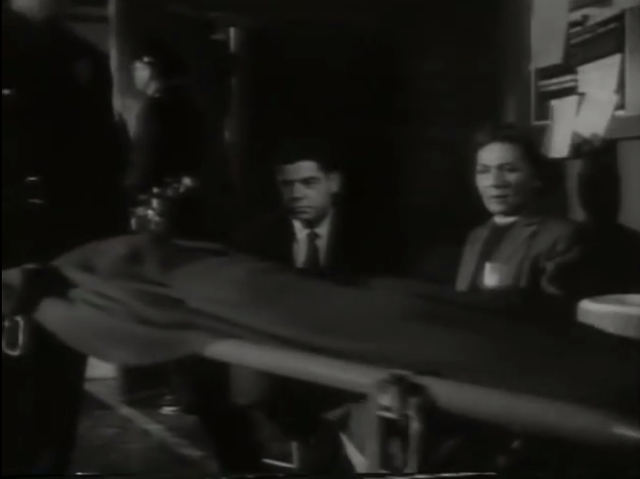 Eventually, Coulouris’ housekeeper, who is secretly his wife, confronts him and tries to stab him. He chokes her in self-defense – at least, that’s how I would explain it to the police. In the exciting climax, Coulouris manages to revive his dead wife, but realizes she has no brain – which explains why she took this gig. Coulouris is actually pretty good, and plays his role fairly straight, instead of going over the top. Day is gorgeous, and the director gives us ample side views. 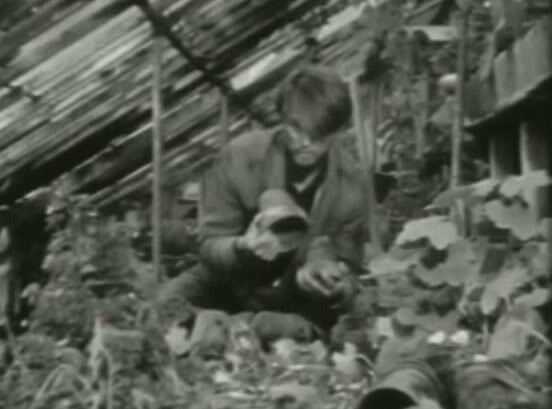 The person playing the plant was uncredited, but I assume it was someone who failed the audition for The Little Shop of Horrors. This is how the expression “getting your chain yanked” originated. A scene from the local white trash production of The Ten Commandments. A rare outtake from The Wizard of Oz, when one of the trees really got **** at Judy Garland. Yea, that plant makes no sense. Now if it ate ugly women and brought back to life good looking women I would be all for it. Michael Landon plays a hot-headed high school student who apparently wants to kick everyone’s a**, because, and I quote, “people bug me.” Detective Barney Phillips and Landon’s girlfriend (Yvonne Lime) manage to convince him to see a shrink. Unfortunately, the shrink is played by Whit Bissell, who decides that Landon is the perfect specimen for his “regression” experiment. Bissell says to his assistant “I don’t want to be disturbed.” Sorry, doc, you already are. He injects Landon with some serum and eventually Landon becomes a werewolf. Now most high school kids at that age would just grow hair on their palms, but Landon goes the whole route. This is a film that should have been much better. It starts off slowly, then gets even slower, then finally picks up, but then runs of gas. Too much time is wasted early on trying to convince us that Landon has issues. We know that about one minute into the film. There is also a horrifying song entitled “Eeny, Meeny, Miny, Mo” which some loser sings at a Halloween party. We have to wait over half an hour before somebody finally gets attacked. The final 25 minutes consist of just one long boring chase scene, where Landon finally ends up at Bissell’s office for the climactic hissy fit/drooling. Guy “Zorro” Williams shows up as a cop. Vladimir Sokoloff plays Pepe the Janitor, so he is obviously an illegal immigrant taking away another well-paying job from a deserving American citizen. 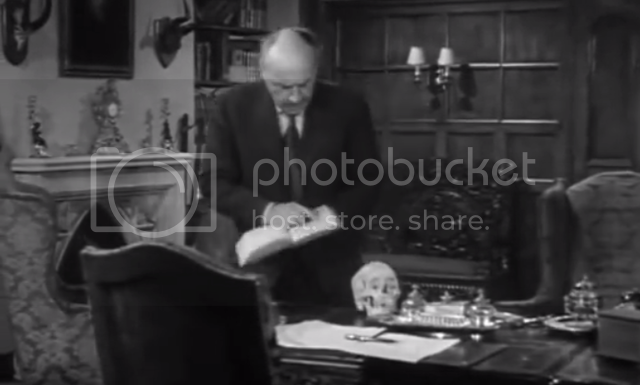 The guy playing Phillips’ boss looks like George Coulouris. 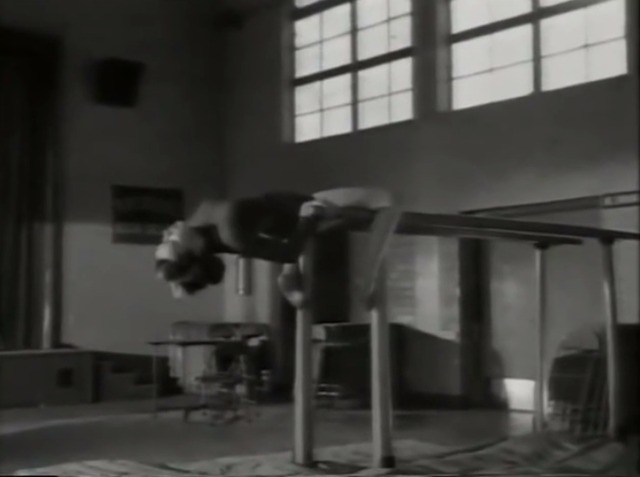 Landon is actually pretty good, and there are a few good scenes, one in which Landon attacks a girl who is practicing on parallel bars. But most of this film is just silly, with 30-year-old high school kids, dumb-acting girls, bad dialogue, and Bissell tediously trying to convince his assistant and the audience that he is on the verge of some great scientific breakthrough on par with the discovery of Preparation H.
This is how the screenwriter ended his career, right after the film’s premiere. A rare still from the unreleased exploitation film, I Was a Teenage Wrestler. A short-lived 1950s fad – parallel bras. With regards to I Was a Teenage Werewolf: this film was mention and a scene shown in The Celluloid Closet, a documentary film about how film dealt with homosexually (or didn't). Just wonder if you see any homosexual subtext in the film or any of the scenes. In the scene I saw it was like the Landon character had a big dark secret he was trying to discuss with another guy, but hey, it was cool, he was only a werewolf. At least he wasn't gay! Just wonder if you see any homosexual subtext in the film or any of the scenes. I did get slightly suspicious when Landon took his date to the Pottery Barn. I could see it. Teenage Frankenstein was even more blatant, though. But it was more like teenage rebellion and ultimately manhood. I mean they had Whit Bissell in the movie. That's pretty much the way I saw it. Unless someone is suggesting that Bissell had a thing for Landon. Nope, but I'm pretty sure Bissell always had a thing for cleaning carpets, anyway. Now how's THAT for Whit..err..wit?!!! Fortunately, I saved all these reviews/pictures in a word file, so when I get time, I can restore them. I am beginning the restoration. 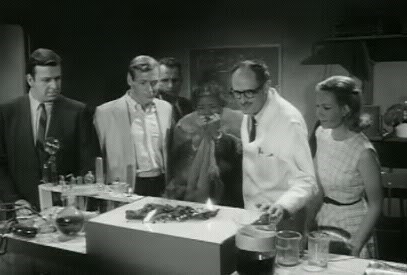 Another in the long line of Frankenstein offspring movies (Frankenstein’s First Cousin, Once Removed has yet to be released), this 1958 clunker sports an oddball cast, including Harold Lloyd's son, Richard Dix's son, and Jon Hall's father. John Ashley, that walking advertisement for Brylcreme, plays Knight's boyfriend. He is useless for most of the film, but his hair looks magnificent. Former Playmate Sally Todd plays the town mattress. 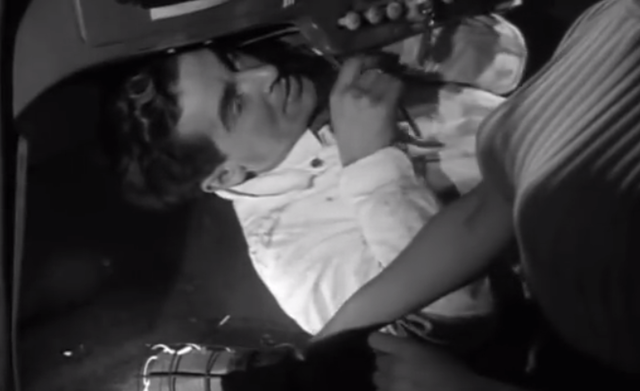 First she dumps Harold Lloyd, Jr., then accepts a date with Murphy. This does not end well, since Murphy is seeking a brain to complete his latest experiment. 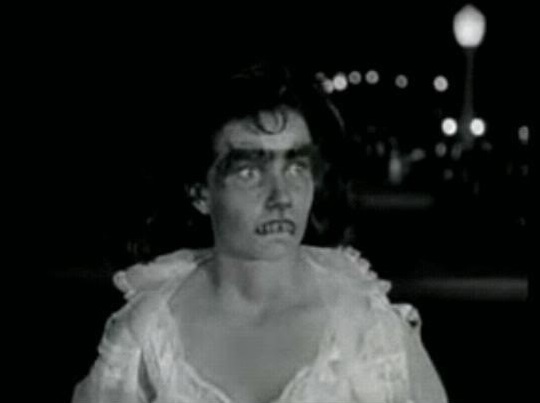 Oddly, the monster-woman is played by a man. With his black outfit and bandaged head, he/she looks like a nun on HGH. Voltaire Perkins has a bit as a chemist; I kept thinking he should be presiding over "Divorce Court." 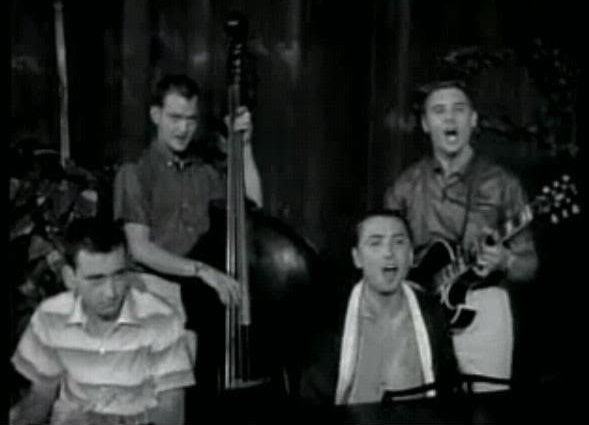 But the film's most terrifying moments occur when Harold Lloyd, Jr. fronts for the Page Cavanagh trio (yeah, I never heard of them either). Sandra Knight as Stockard Channing. The Page Cavanaugh trio (all four of them). John Ashley fights for his life, but his hair remains calm. 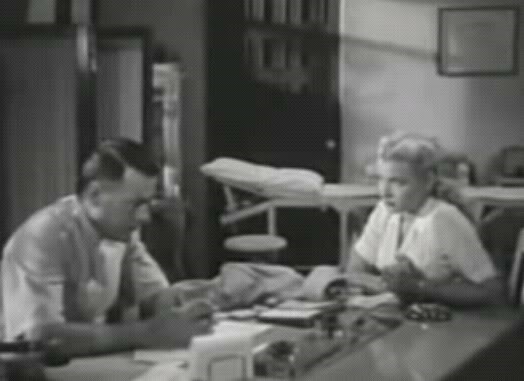 In another film (one of four) made by Richard Cunha that same year, another bandaged character frequents a mad doctor's lab, but in this case, the bandaged character turns out to be nice (although her husband is evil). Cunha must have gone to Costco and got a good price on bandages (and other lab gear) that year! Good points. She Demons is a camp classic, and I renovated that review as well, one page down I think. At least Mona is actually played by a woman. Hey, Page Cavanaugh was one very fine jazz pianist. Don't know how good he was in the late 50s but I saw him in the early 90s, with one of my favorite guitar players, Tal Farlow, and Page was first rate. Page was a feature in West Hollywood nightclubs and I enjoyed his act. 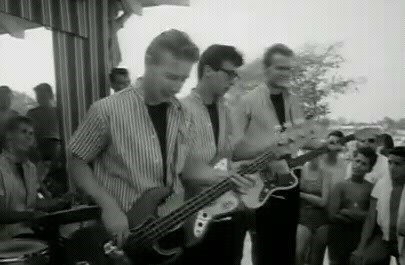 What I didn't know is that Tony Randall knew how to play bass! Robert H. Harris' finest hour ... and 13 minutes. Harris plays a makeup artist who specializes in monsters; the Teenage Werewolf and Teenage Frankenstein are his creations. Two suits barge into his office and give him the axe, claiming the horror cycle is over. Naturally, Harris is not thrilled. 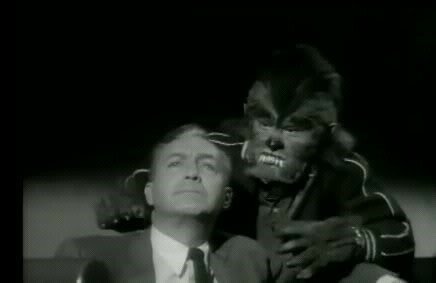 In short order, one of the executives is offed by a werewolf, and the second is done in by the Frankenstein monster. 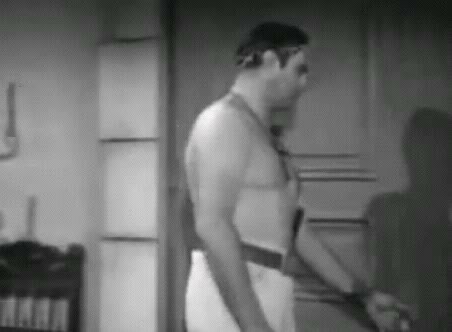 Harris also gets in on the act by disguising himself as a cavemen and whacking a nosy security guard. This film is a must for buffs. 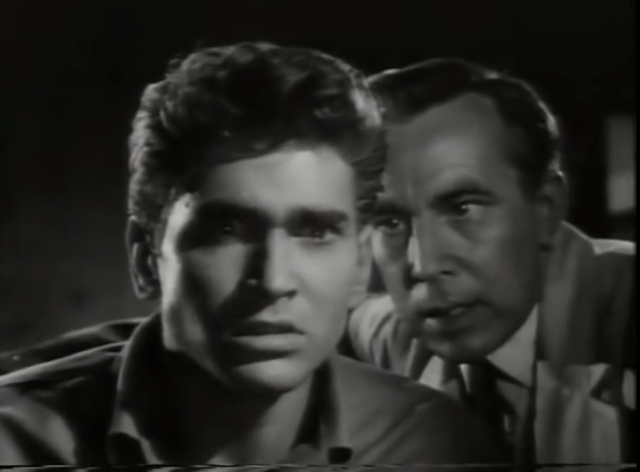 Besides a load of familiar faces (Morris Ankrum, Tom Browne Henry, Robert Shayne), we see Gary Conway reprise his role as the Teenage Frankenstein. Gary Clarke replaces Michael Landon as the Teenage Werewolf. 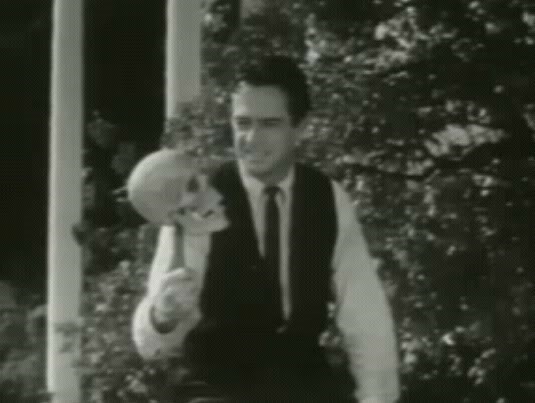 Harris works for American International Studios, which produced this film. And in the climax (the last ten minutes are in color), we see some of Harris' "children," which you will recognize from various American International productions. 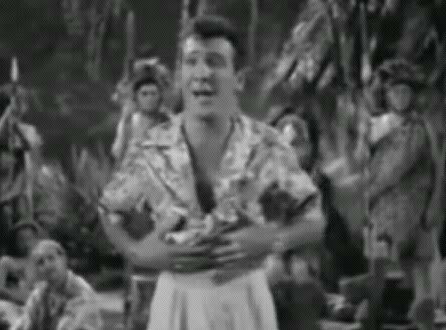 The only low point is when John Ashley, playing himself, croons the ever-popular "You Gotta Have Ee-Ooo." This is a good time for a bathroom break. 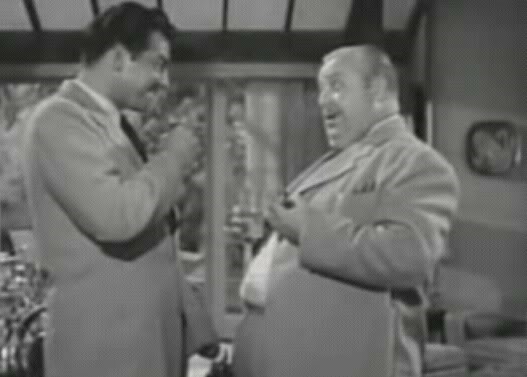 Here, Harris shows Paul Brinegar some cooking tips for Brinegar's gig in "Wagon Train." And you thought it was annoying when cell phones went off in the theater. 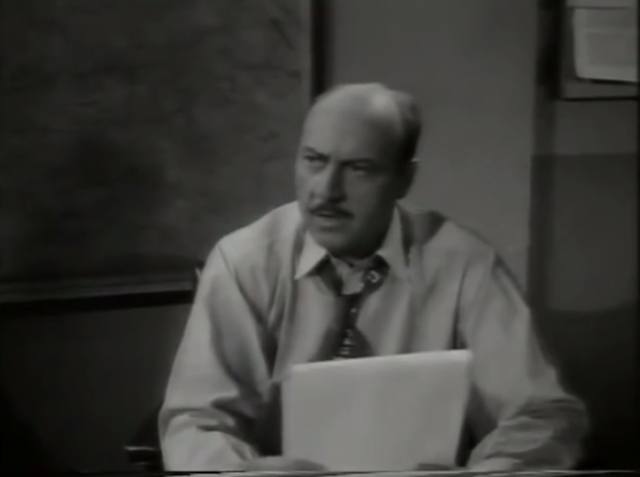 Walter Reed violating Paul Brinegar's civil liberties. The man of the hour, surrounded by his "children,"
This bomb was filmed in Stamford, CT, which is about 30 minutes from my house. That is the only reason I've ever watched this film. An imbecile who never heard of the EPA dumps a barrel of radioactive waste offshore. It springs a leak. It creates monsters. They like human blood. (Ever notice these monsters never become vegetarians? I guess attacking kelp does not make for an exciting film.) 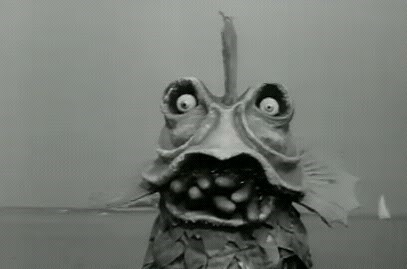 The monsters are only slightly worse-looking than the mutations Irwin Allen trotted out every Sunday night on "Voyage To The Bottom Of The Sea." One of them rips apart the town bimbo, then they have a nice dinner by crashing a slumber party. We get to see a montage of mayhem, while in the background, we see authorities working to solve the problem. There are plenty of early scenes on the beach, featuring unknown actors, unknown musicians, and unknown body parts shaking around. The film is ludicrously dubbed, which creates the impression this is a foreign film. The dialogue is horrible; "Do you like bathing beauties?" "I don't know, I never bathed one." Kneeslapper. There is only one recognizable face in this cast: Wayne Tippitt (playing a drunk), who later starred for several years on the soap opera "Search For Tomorrow." The rest of the cast got jobs at the EPA. This blonde thinks she is hitting on James Franciscus. Tori Spelling asks for a fill-up, while father Aaron (far left) looks on. 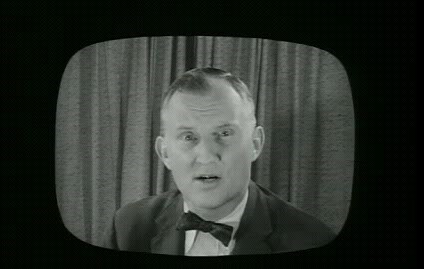 Ross Perot goes on television to warn everyone about the monsters. "You will hear a giant sucking sound." Actual dialogue: "I just saw your father, and he's been burned badly but he'll be fine." 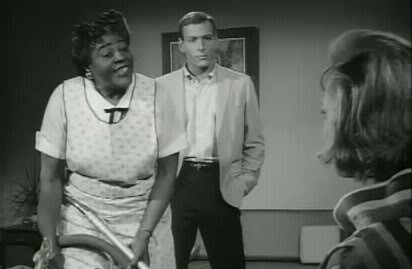 Ella Fitzgerald is forced to moonlight as a maid, due to the poor economy. Here, she sings "A tisket, a tasket, clean out your own damn wastebasket." It has probably been around forty years since I've seen this thing; it has not improved with age. I am not even sure in what category this classic belongs. Perhaps "Atrocities?" 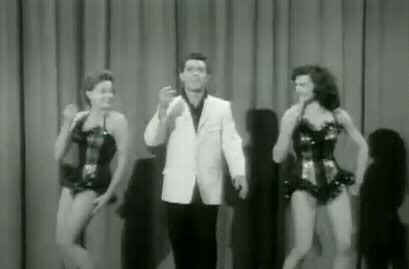 Duke Mitchell and Sammy Petrillo do their Martin & Lewis routine, playing two entertainers who are forced to bail out of a plane. Unfortunately, they survive, and parachute into a jungle inhabited by mostly white actors in native costumes. 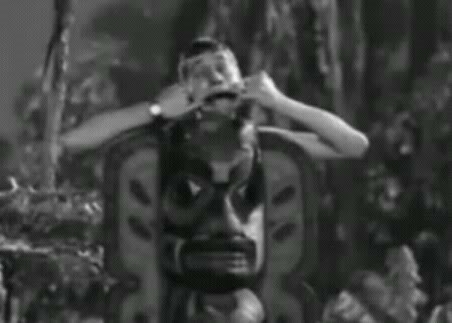 Mitchell wastes no time in putting the moves on the native chief's daughter, a hot babe played by Charlita (who, in her career, also played characters named Chiquita, Gita, Tonita, and Carmelita). Besides looking great, Charlita is the only one in the cast who exhibits any acting talent. Her onscreen sister, played by Muriel Landers, is best described as a meatball with arms. 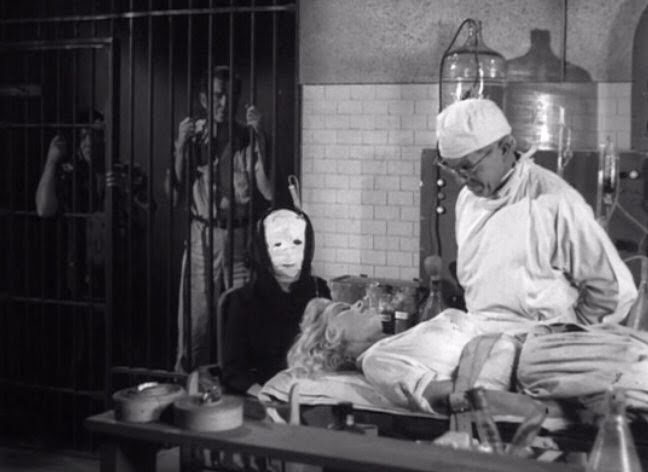 Lugosi plays Dr. Zabor, who is doing experiments on evolution. He even quotes Darwin. 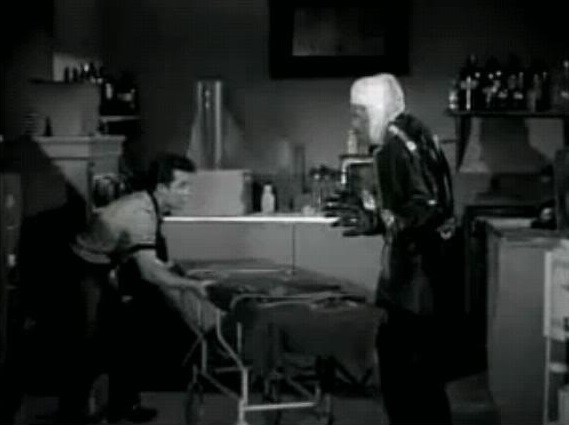 Lugosi has eyes (and other organs) for Charlita, so he transforms Mitchell into a gorilla. William "One Shot" Beaudine directs the proceedings. 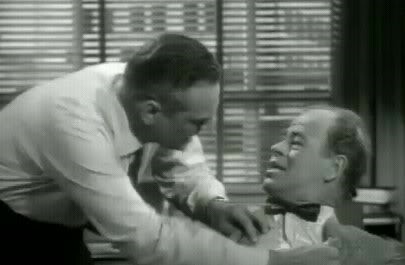 Screenwriter Tim Ryan uses bad lines left over from his Bowery Boys scripts: "He has a one-syllable brain." Mitchell croons "Deed I do," which, incredibly, has been recorded by the likes of Lena Horne, Peggy Lee, and Bing Crosby. I must confess the only other version I've heard was by Redd Foxx on an episode of "Sanford and Son." Petrillo is simply annoying as Jerry Lewis. You want him to be killed, preferably by cannibals. No wonder Lewis sued him. 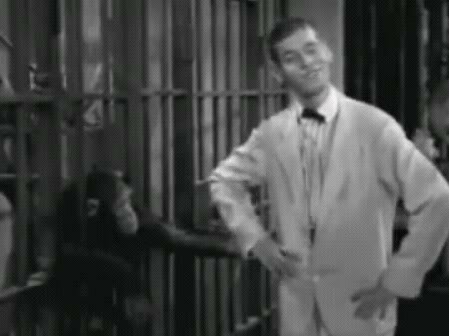 Ramona the Chimp is actually Cheeta - apparently Bonzo had a better agent. Ray "Crash" Corrigan dons a gorilla suit for the umpteenth time. You can't turn away from this thing. It is so bloody awful and unfunny that you simply must see it through. When it's over, treat yourself to a banana. This is either an argument for or against evolution. You be the judge. This is the real reason why Cinemascope was invented. while Mickey Simpson goes back into one. Alistair Sim sued Sammy Petrillo over this. A whitetrash-fest, thankfully only 65 minutes long. 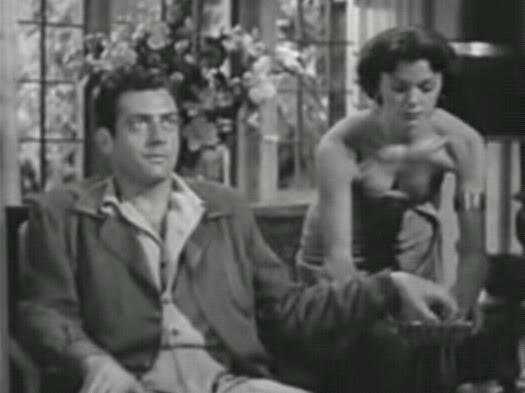 Raymond Burr stars as a plantation worker, whose boss (Paul Cavanagh) is married to luscious blonde Barbara Payton. So now you know what's going to happen to Cavanagh. The village crone sees the crime, and puts a curse on Burr. 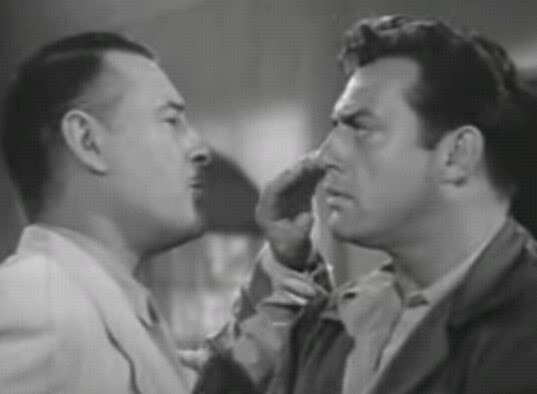 Local authority Lon Chaney, Jr. investigates while local doctor Tom Conway does his ventriloquism act yet again. 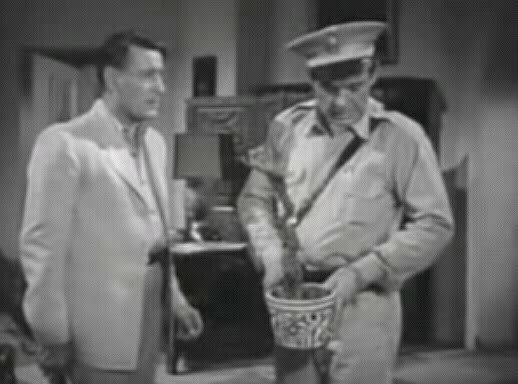 Woody Strode has a bit as Chaney's assistant. 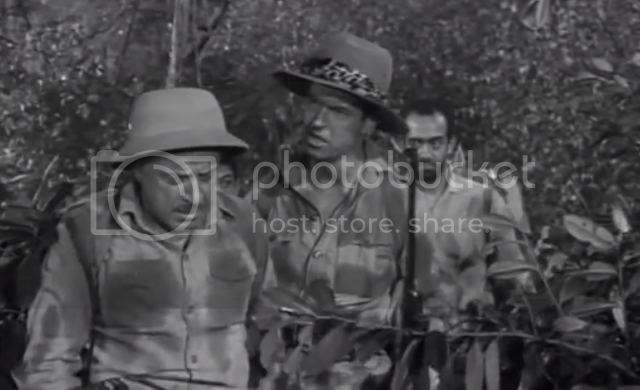 In the thrilling climax, Chaney and Conway kill off two characters when they fire randomly into a tree because they hear a noise. It's somewhat interesting to see Burr dirty and sweaty and oozing testosterone as he makes out with Payton. However, the acting is wooden, the sets cheap, and the plot almost non-existent. I encountered more suspense during my colonoscopy. 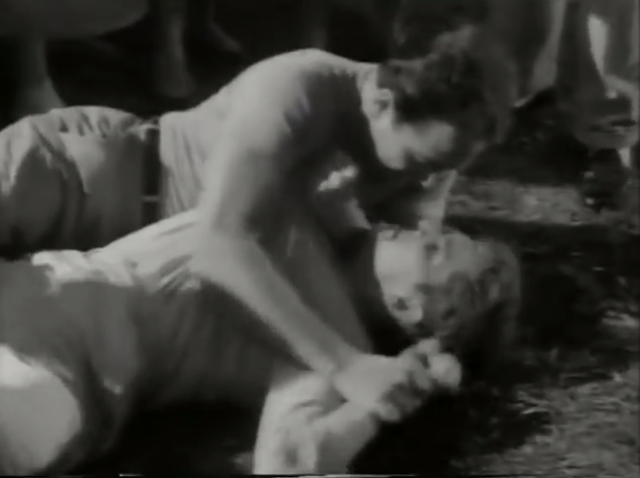 Tom Conway assures Paul Cavanagh that he'll be dead by the end of the first reel. Perry Mason and D.A. "Ham" Burger celebrate sending an innocent man to the chair. 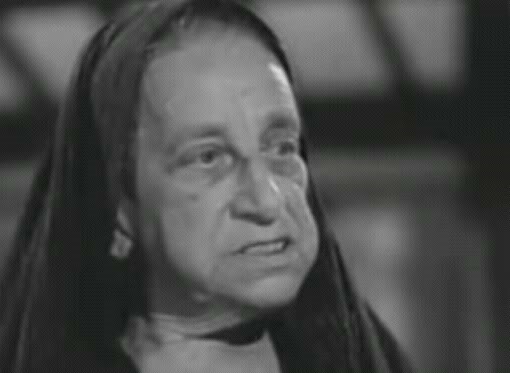 Raymond Hatton makes a surprise appearance as the village crone. the end of the first reel. 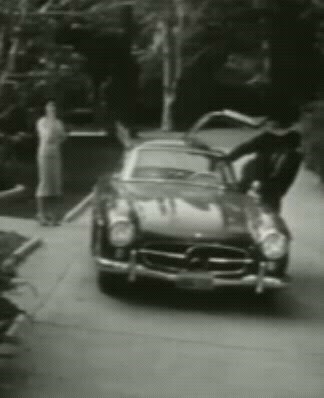 Barbara Payton and Raymond Burr film a scene for "World's Funniest Rifle Accidents." "How many times did I tell you to water the damn plant?" Payton's Playtex draws a bead on brawny Burr. Burr auditions for "Ironside," while the chick auditions for anything. This rare scene was added just for the San Francisco premiere. The producers promise to pay for your burial if you die of fright during this film. They make no such guarantee if you die laughing. 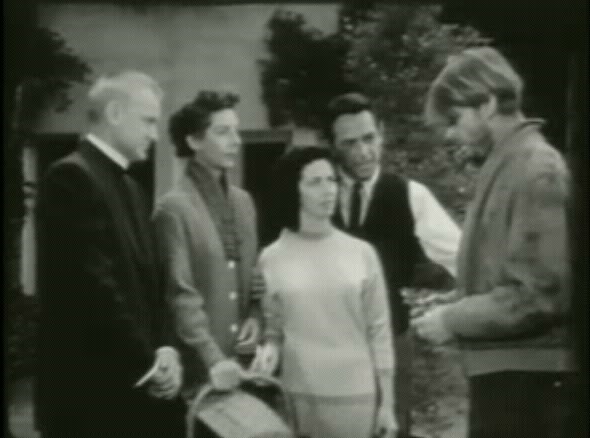 Married couple John Hudson and Peggy Webber move into Hudson's house. Hudson is on his second wife (no pun intended). His first died "accidentally." Webber is recovering from a stay in a mental hospital. She has money, and large breasts. 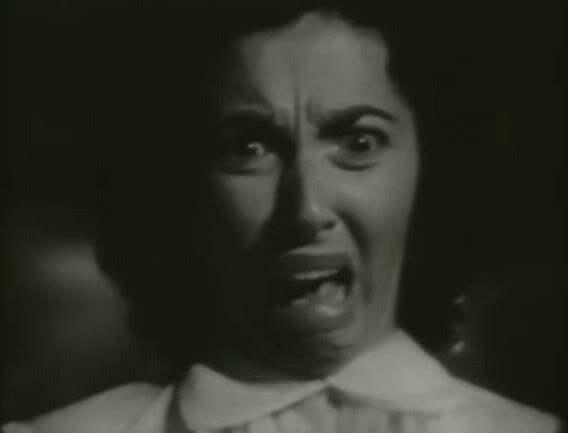 Shortly after moving in, she hears strange noises; footsteps, a screeching sound, a Gregorian Chant, and that woman who always sings "woo ...ooh ...ooh" in these horror films. Also, a skull appears in a cupboard. Is she going mad? Or is someone trying to drive her crazy (say, her husband, for instance)? 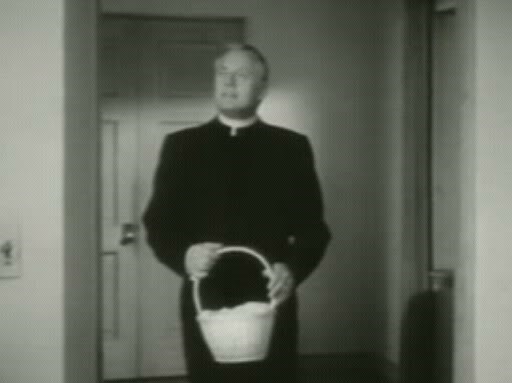 There are only three other people in the cast; a reverend, his wife, and Mickey the Gardener, who is played by the film's director, Alex Nicol. Mickey is one sandwich short of a picnic, if you will. Mathematically, that means his IQ is at least three standard deviations below the mean. 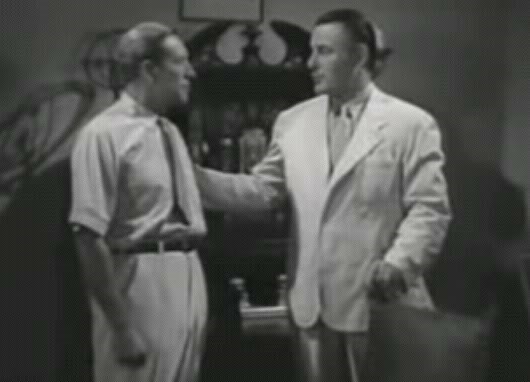 Hudson's brother William played the philandering husband "Harry" in Attack of the 50-Foot Woman. Apparently, scumbagness runs in the family. Most of the scenes are filmed in the dark, and the sound is garbled, so you never can really tell just how bad this thing is. It is difficult to believe that Ernest Gold scored this film. 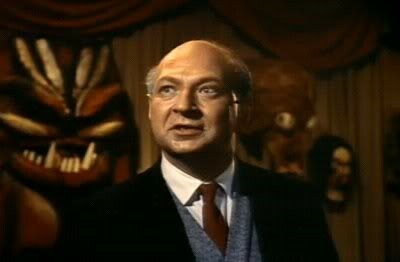 I guess Otto Preminger never found out before he gave Gold the Exodus gig. 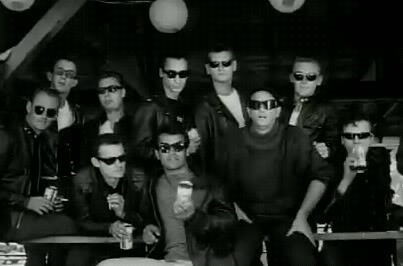 The entire cast of The Screaming Skull is captured in this still. Let's see somebody try that with Spartacus. Alex Nicol surrounded by cracked pots. The symbolism escapes me. Peggy Webber waits for the lights to go on and the Prilosec to kick in. Russ Conway announces the Easter Egg hunt is ready to get underway. John Hudson heads to the Batcave. Peggy Webber auditions for Cat on a Hot Tin Roof . while John Hudson tries his luck at Hamlet. Rich, just to let you know that your thread has been helping me deal with the recent death of my mother, "Bronxgirl's Mom"
Thanks Barb, and thanks for stopping by. If you follow the original links, I'm sure you had some great commentary in them. It's good to look back at the "old days" on here.